This statue is Gertrude (or Geertrui) van Oosten (1330-1358). She was a Dutch Beguine (a religious, monastic, community), and a mystic. 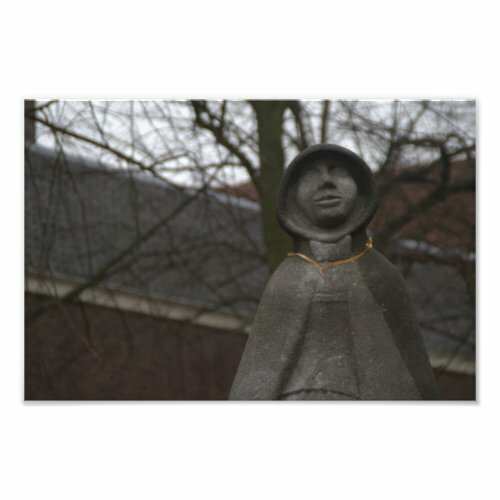 The statue is located on the Oude Delft street, in front of the Old Church, in Delft, Holland.